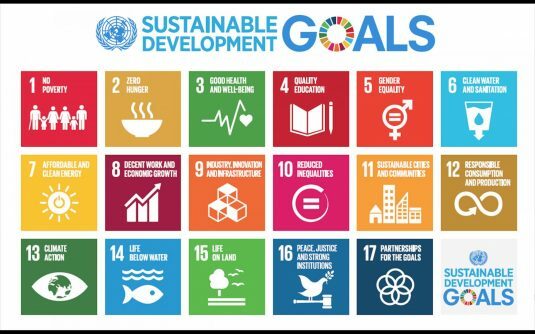 In 2015, world leaders gathered to agree the Sustainable Development Goals (SDGs), the agenda for international development for the next 15 years. These 17 goals and 169 targets cover a wide range of issues, from climate change to gender equality to decent work for all. SDG4 specifically explores education, seeking to ‘ensure inclusive and equitable quality education and promote lifelong learning opportunities for all.’ However, education underpins all of the SDGs, and what underpins education? Good teachers. 1. Good education = economic empowerment. For every additional year of education that a child achieves, their individual earnings will increase by up to 10%. This is hugely important for ending poverty (SDG1), achieving zero hunger (SDG2), securing decent work for all (SDG8), and reducing inequality (SDG10). Teachers are one of the most important factors to achieving a good education, meaning a good teacher means a more prosperous future. 2. Better educated, healthier life (especially for girls). Quality education is a key part of living a healthy life. From reducing infant mortality, to improving knowledge about HIV/AIDs, to reducing the likelihood of early motherhood, education can make a huge impact on an individual’s, and a community’s, health. This is especially true for women and girls. The SDGs on health (SDG3) and gender (SDG5) are both reliant on quality education for all. 3. Putting the ‘tech’ in teaching. Many of the issues that the SDGs address will be solved with the use technology. From clean water and sanitation (SDG6) to life on land (SDG15), and many in between, we will need technology to achieve the future we are trying to build. Only with a quality education, delivered by an inspiring and supportive teacher, will individuals be able to develop the technology of the future. That also means ensuring more girls pursue the sciences, something studies have found female teachers especially can influence. 4. The future starts in the classroom. A key message of all of the SDGs, and in particular SDG17 on partnerships, is the need to share the message of the goals. We all must work together to achieve the future our children deserve. Teachers are key players in spreading the word about the SDGs, sharing their message in classrooms across the globe and empowering young people to be active and engaged citizens. We need teachers, because we need to know about the SDGs. These four reasons form just the start of the many ways that teachers can help to deliver the SDGs. If we want the future dreamed of by world leaders, then we need to start in the classroom. We need to start with students, and we need to start with their teachers.